Energy risk management calls for identifying, evaluating, and analyzing risk associated with unpredictability and volatility in the energy commodity and regulatory markets, as well as alignment between energy product choice and operational strategy. Managing this risk can guard against negative financial and operational impacts and optimize performance and payback for both ECMs (energy conservation measures) and DERs (distributed energy resources). To implement an energy risk management strategy, companies should start by identifying and prioritizing all sources of energy risks within their portfolio. What commodities are consumed throughout the portfolio? (e.g. electricity, natural gas, fuel oil, etc.) Each commodity market has its own fundamental drivers (with overlaps), which also varies based on where your property(ies) is/are located. How many regulatory regimes do your portfolio span? (e.g. NYISO, PJM, ERCOT, CAISO, NEISO, etc.) Each ISO has its own market design and nuances associated with various pricing components. Are there local mandates that require you to report and disclose your energy data? Are there local laws that require you to audit and retro-commission your facility(ies)? Are there local laws that require you to upgrade building systems? Are shareholders demanding more transparency through annual sustainability management reporting? Are you actively pursuing energy efficiency and/or DER opportunities? Is your procurement strategy aligned with these operational changes to optimize payback and performance? Or are you throwing away money because one hand isn’t talking to the other? Working through each risk, companies can address each concern and reduce or eliminate the risk. 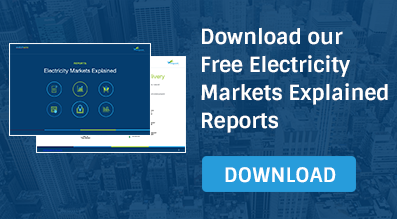 Companies typically cannot manage energy risk on their own, as it requires full-time monitoring of energy market developments and complex regulatory changes spanning multiple governing bodies. Mitigating energy risk in each market is time-consuming, so companies usually hire an energy consultant to help strategize and assess the risks. Since the consequences of not managing risk are costly and can affect operational performance and impact your bottom line, companies hire experts in the field to help. Companies have moved away from managing energy risks one at a time and are now taking a more comprehensive view of the energy risk landscape. As future fuel costs and regulatory changes remain uncertain, businesses should develop techniques and strategies that allow flexibility in a somewhat ambiguous market. Additionally, as utilities change the way they operate, companies should consider an energy consultant who can help mitigate new risks, as well as predict and prepare for future risk in the energy market.